Unique ideas and great blogs will be of no use if you do not have enough traffic for your site. Though most sites make it a point to be present everywhere in the social media platform but then also LinkedIn seems to be the less popular platform among users. 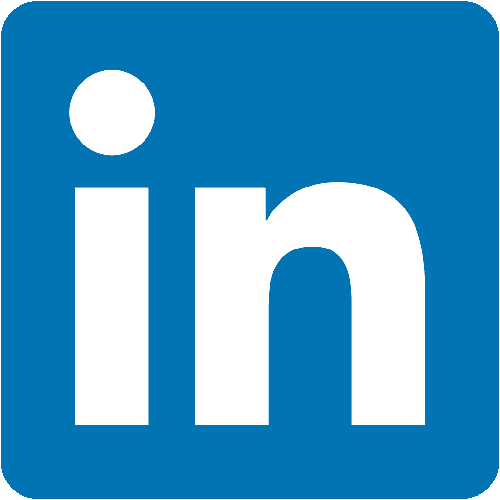 LinkedIn is a professional social networking site where you will be highly benefited if you are B2B marketer. As a matter of fact, every form of business site or individuals can make use of this amazing platform to drive more traffic to your blog. Mostly people have wrong notions about the LinkedIn platform. Though they are using the platform for networking, but they are not aware of its potential to draw in huge traffic to their blogs. There have been many who first didn’t notice its potential, but once they tapped in the possibility then they never looked back. Some people are plain and simple confused about where to appear and where not to, just to strike the perfect balance so that they don’t go overboard with promotion of their blogs. It is stuffed with potential clients and decision makers in the field of business. If you can get it right then you will witness huge traffic flowing in from LinkedIn to your blogs. The main thing is that as a blogger, you would love to have a number of people reading your blogs and in order to make these many people aware of your existence, you have to make use of different social media platforms. In order to make it happen, you can start using LinkedIn platform and here is how you can make the most of it. Now when you are trying out ways to make your blog more popular with the help of LinkedIn, then here are 20 such ways which will help you. In order to complete your profile you have to come up with a unique logo for your company along with complete name and address. With the help of the logo you will be able to make the company home page more professional looking and memorable too. 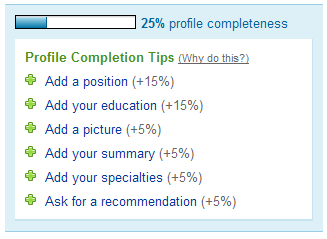 Now when you are done with company profile then you must look into your profile too. So mention in here, whether you are the blogger or the small business owner or the content marketer because people out there would love to carry on with a conversation with someone real and not with some brick and mortar. In the company profile you must mention a brief history of your company and in your personal profile you must include some personalized professional summary. Don’t forget to get in nice picture of yours in professional attire. You can include a link to your site or blog in the profile to make the most of it. There are various plugins that are made available and you can make use of it to increase traffic to your site. LinkedIn is mostly about connections and these plugins which help in getting you some good amount of connections as well. LinkedIn has made available various plugins which are beneficial for your website and not only that it will help you in connecting with your customers in every possible manner. It is always recommended to get yourself the follow plugins in order to easily achieve the number of followers. 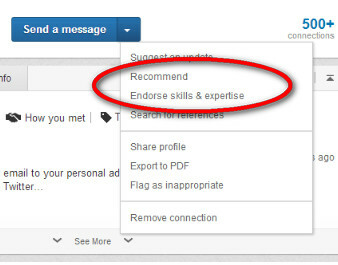 You can make use of Recommend button to make the traffic flow from all direction through LinkedIn. Visitors who will go through your profile can use the recommend button to make you visible to their connections. These will provide you huge exposure and you will be able to garner more traffic for your blog. The connections just keep on multiplying if they like what they are going through on your site. If you have the content, then LinkedIn will provide you the traffic that it deserves. You have to make sure that the content of your blog is interesting one and for that you can stick close to the theme of your business and that supports the business goals and helps you in achieving the target that you have set for you in case of marketing. Engaging content is the best way to attract customers because once they know that they will get some good contents here, then they will keep on coming back to get more out of it. They will wait for your next content to appear and you have to make sure that all this appeal to the LinkedIn market as well otherwise there will be no benefit of updating content in there. Good content will always find its followers with a little bit of effort from your side. Every platform has some influencers and it is always good to follow the influencers of the industry so that you can keep yourself updated always. You can create a list of the influencers whom you can follow and who are related to your form of business. Once you are done with your list then it is the time to engage with them through comments. Never make any comment just for the sake of it, instead try to quip in some valuable comment on the articles that have been curated by the influencer. 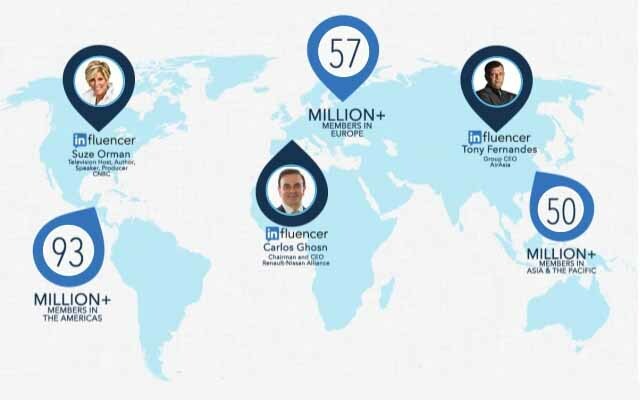 The influencers enjoy huge traffic and by appearing on their blog, even through comments, you are exposed to this huge traffic as well. If you are not able to come up with some comment that will actually add value to the article then also you will be benefited from visiting their account as it is a place from where you can get new ideas for the future blogs of yours. In order to be active in your account, you need to be visible and for that you have to post regularly. If you are not able to update daily then make a routine of updating at least twice or thrice a week, then your users will know when to expect something out of you. Also make available the post links and use the LinkedIn platform to build the relationship stronger. Make sure of one thing and that is you must not spam network because too much of everything will spoil the beauty of it. People will lose interest in your blog. if they find that you are posting for the sake of it and there is nothing new or exciting coming out of you. You can also post links of one article into the other so that people who is reading one of them gets to know about the other one too. Just make sure you are active in your account in a positive way and that doesn’t hamper your reputation. If you haven’t started linking with people yet, then you will have to make that happen soon. A profile without any connections is of no use so you have to be prompt in action and start giving out invitation. Look for people who share the same kind of interest and then start inviting them to connect with you there. There are categories where you can invite colleagues or even your classmates so make them aware of your presence and ask them to get connected with you. If you can make some of your ex-colleagues write good thing about you then it will be an added advantage and will lift your profile up. You can also make use of your current address book to find people who will be interested in the same things that you are interested in and invite them to join you then you can also change your profile as per your business need. 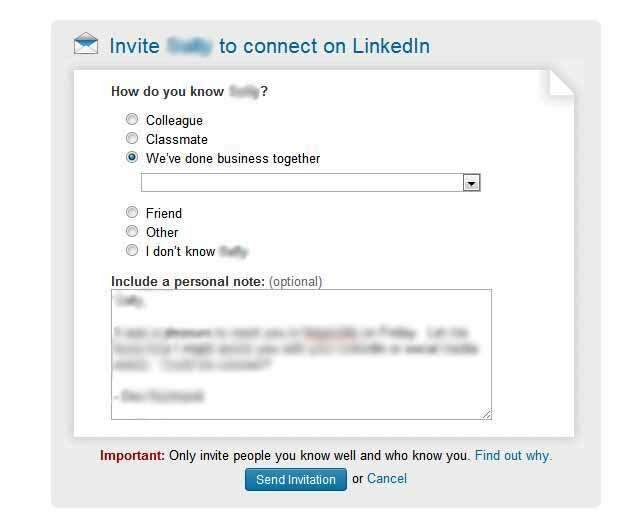 Once you have sent out all the invitations then LinkedIn will show you the responses that you have received and it will also come up with recommendations to help you out to get connected to people you might know. Each and every group in LinkedIn has sections where you are allowed to add links to website along with the latest news or topics that is relevant to the group. This helps them in making the viewer’s aware of what to expect next from the bloggers and it provides them with insight which will be helpful for everybody. This same section will help you in updating RSS feeds or even the link to your website whenever you are coming up with some new article. It helps in getting some organic traffic that will land up in the home page and you will witness that almost everybody from your group is already there along with some new traffic, so it eventually helps you in getting a good amount of traffic for your blog post. You can give in the headline and the introductory part to create curiosity and once they are interested to know what is there in store for them, then you can provide the link where they can read the full story. Though it is an important feature, but there are bloggers who don’t give much thought to it and leave out on the option. They are not aware of how powerful this option is in pulling traffic to your site. In order to make use of this you will have to go to the applications from where you have to download one of the applications. You can either go to the WordPress application or the BlogLink application and there you have to add the URL of your blog. 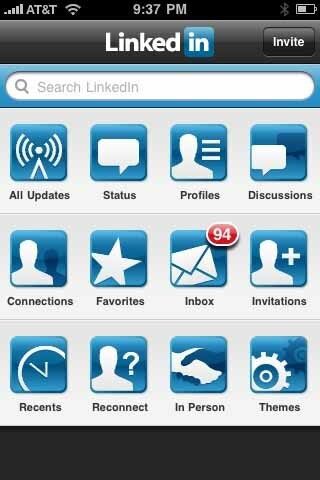 This is a new feature that has been rolled out by LinkedIn and the users who have received promotional email from LinkedIn regarding this are the only one who can make use of this feature. You can add some samples in the field of media work under the section Education, Summary and Experience. In order to get more traffic you have to design your profile page beautifully and we all know how good looking sites attracts more viewers than a plain Jane one! If you have been complaining about how complicated things can be for people who are always on the move then here is a perfect solution for that. With the new mobile app you can now stay connected from wherever you want, as long as you have proper internet connection. This way you will also be able to stay active and in the social media networking sites. It is important that you are engaged in some kind of activities through your account. Through this ‘In Person’ feature you will be able to connect to other person just by tapping and it will also save you time to go through the long list of names with whom you have connected through some events. You can also make use of Reconnect feature that will provide you with suggestions about the connection you can do to better your prospect. We all are hooked on to various social networking sites and are totally aware of what status update is. It is somewhat like twitter but in some case it is better than that too. In twitter you have to do with 140 characters but in LinkedIn 148 characters are made available so that you can fit in some more thoughts. If you are wondering why it is so important then you must remember that when anybody who visits your homepage that is the first thing that will pop up, therefore it should be impressive one otherwise it will have no impact on the viewers. You can go through the homepages of people you are connected in order to view the updates they have been using. You will see most of them will go for something that is related to their latest blog post or the link to their article or call to action in there so that viewers react to it first before doing anything else. It is one of the most powerful networking things that you will find on LinkedIn. 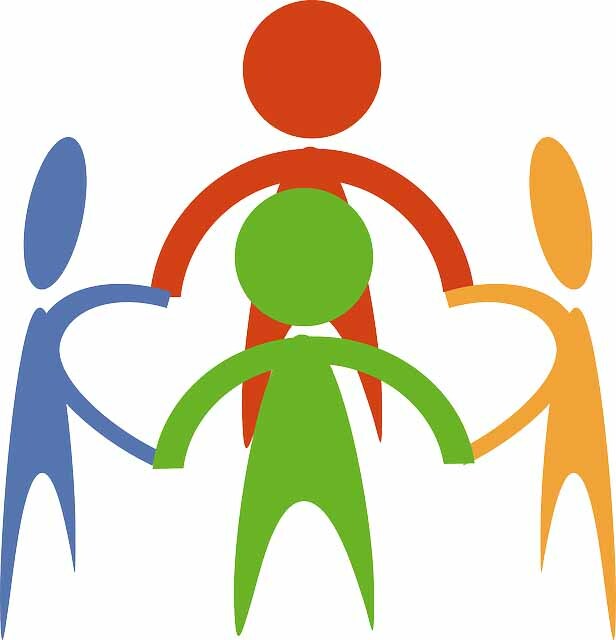 Go ahead and create your own group where you can arrange discussions and interaction on various topics and interests. Provide small description about your group and what to expect out of it. If you have some interesting group and can engage them in some kind of activities then you will find that the traffic growing up to thousands within no time in your group and it will definitely transfer some traffic to your blogs as well because people will be interested to know more about you and what you are up to. Now, slowly when your group gains momentum and starts witnessing more and more users, you will be able to get more traffic for your site as well. LinkedIn has various applications that will enhance your profile here. With the help of this you can have presentations through slideshare, or you can show testimonials through some online videos and also promote the latest blog post of yours. You have to first decide what will suit your requirement and then you can look into applications that will suit you best. Once you are out there, you will know how LinkedIn has an ocean of applications that will help you in showcasing the original you. It will also promote your interest and will help you get traffic accordingly because there will be people out there who are sharing the same interest as that of you. If you find a question somewhere and if you know the answer, then you must reply with the solution and in case your answer gets the maximum votes or is selected as the best answer you will be rewarded with goodwill amongst the users. They will be looking forward to more such solutions from you to their problems. By doing this you are not only helping others but is also doing a great favor for yourself by inviting good amount of traffic for your site. LinkedIn is no different in this situation because where there is a forum or a group in which people are discussing on certain topic, people will have certain questions and if you have the solution then your reputation will only get better amongst the users. When you have just started out, your links will show somewhat like this – My Blog, My Company, but if you really like to impress your audience then you have to change it according to the blogs that are on offer. Therefore, what you can do is to change it to something that will help you in attracting more traffic like Blogging ideas for novice or SEO ideas for beginners, etc. This way you will be able to make people aware of what is in store for them and where they need to go to find them. Even the custom headline can also be changed and you have to make use of everything that will help you in achieving some good amount of traffic. So the key is to make the users understand what they can expect out of your site. The contacts that are present on one of the social networking sites will be found in several other platforms too. It will be really nice to meet them on another platform and see them in completely different personality. 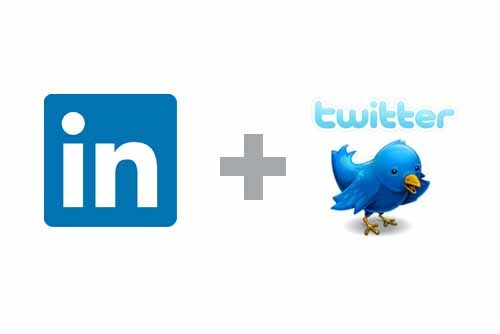 One of the social networking sites for this is twitter and the best part is that you can easily integrate twitter with LinkedIn profile. If you are using Hootsuite then you can make use of that to upload your latest blog post in both the platforms simultaneously. This will save your time and will also help you to reach out to the maximum number of users out there. With the help of this tool you can also update your posts in Facebook directly including the thumbnails. It is also available as an app in iPhone which you can use to get the best out of it. 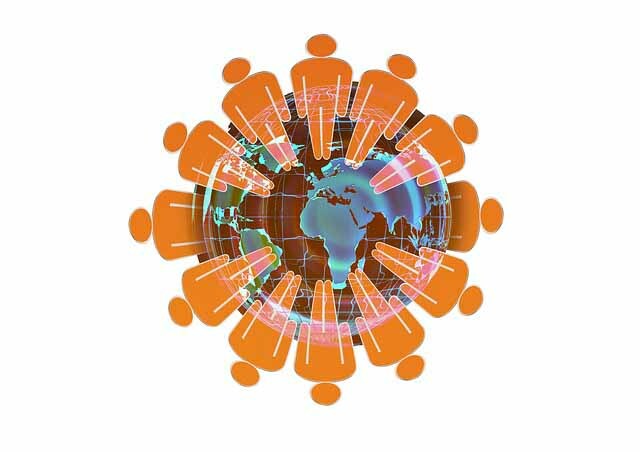 It is very important that you find yourself a group where you will be able to share your thoughts freely, a group which share the same interest as that of you. The more you will be able to connect to these kinds of people, the better, because it will widen your horizon and will know how to enhance your business as well. You will get to meet like minded people and you will enjoy the conversation the most when you are able to connect with that person on personal level too. The groups are divided into categories and whichever suits your taste you can join in there easily and be a part of the discussion. LinkedIn measures the popularity through the number of connections that it makes. Therefore when you are on LinkedIn you have to make the most of it. So when you are updating your profile or maybe joining a group and even when you recommend someone everything gets updated on homepage of 1st degree connections. If you have a huge number of connections, then that means your chances of potential links increases manifolds too. But in the same way, if you have only 100 connections, then it will limit the potential click too, along with the websites links that you could have received per day. In order to achieve the best exposure you have to keep on adding more connections and update new ones on a regular basis. The main objective is to draw traffic to your site following white hat practice. So as long as you play safe and don’t indulge in nasty tricks it is always good to have traffic following you from every possible source. Though making a comment on some blog counts, but it is important that you make some relevant comment that will add value to the blog otherwise it will not help you. Instead irrelevant commenting might lead to a bad reputation of yours and that there are high chances of losing traffic. Relevant commenting is also good when you are part of discussion in a group in LinkedIn. If you can provide some insight to the topic of discussion that is unknown to others, then you will instantaneously draw attention of everybody in the group and that will eventually lead you some traffic.